If your business buys video ads on Facebook, we hope you've taken note of the social network's recent mea culpa about a faulty metric that may have vastly overestimated average viewing time on the platform. As reported in the Wall Street Journal, Facebook's metric only factored in video views of more than three seconds, when it should have included all video plays in its reporting. Though a new metric has already been issued, and the company claims the error did not impact billing, there is certainly some collateral damage that could be calculated. For example, one media-buying agency was told view times for its clients may have been overestimated by as much as 60% to 80% — and that the error has been happening for the last two years. That's a lot of ad buying decisions potentially being based on bad data. 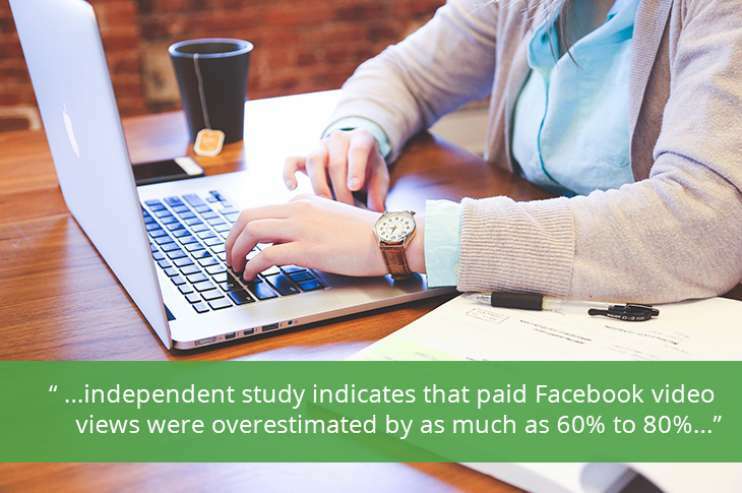 The news is just as bad for marketers, as most rely on the accuracy of Facebook's performance projections to help them determine their ad spends on the platform, as well as the types of content they will post there. As we see it, this is part and parcel to a much bigger issue that's at play here: performance accountability. Considering just how instrumental Facebook has become to engaging with an audience, it's practically a given that this channel will play some part in the marketing mix for most businesses. Yet, when working with so-called "walled gardens" like Facebook or Google — which are notoriously protective when it comes to what data they will share and what tracking firms they will allow integrations with — it can be nearly impossible to get a clear picture of ad performance or of how much they are contributing to a company's overall marketing success. While the full impact of Facebook's calculation error may never come to light, situations like this are why there's one marketing best practice that we at Prove feel particularly strongly about: the use of third-party verification, rather than relying on a single (and potentially biased) method of gauging marketing performance — no matter what marketing platforms, formats, or techniques you are working with. As a marketing service provider, we want our clients to be completely confident that they are getting optimal value from every initiative we develop. That's why we rely so heavily on performance-driven techniques to power our Acqretention process — and why this technique enables us to increase ROI while keeping costs low. If you want greater confidence that your ad budget is being spent on marketing that is custom-designed to perform to your expectations and achieve the results that you are promised, give us a call.